Organic vs. Conventional Farming – Which Favors Cleaner Water? In a 2011 study conducted by the University of Vermont, stemming from clean water issues in revered Lake Champlain, results were inconclusive as to whether organic farming or conventional farming practices favor a cleaner lake. the animal’s stage of production, or to protect soil or water quality. 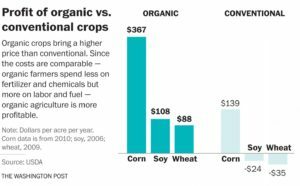 Beyond Clean Water: Organic Farms Command Higher Retail Prices. Land must have no prohibited substances applied to it for at least 3 years before the harvest of an organic crop. 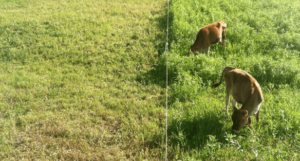 According to the study, a challenge the organic farmer with animals faces, which a conventional farmer may not, is keeping pastured animals from directly wading into streams and lakes — instantly polluting the water. For grazing animals it is important to regulate the extent to which the cows interact with natural waterways. Where livestock have access to these waters there is an increased risk of nutrient losses to surface water. Clearly the motivation to go organic in farming extends beyond better land management — and the chart above illustrates the financial incentive that may accompany such a move — but there appears to be little doubt that agriculture runoff remains a chief contributor to pollution in Lake Champlain. This is largely consistent across the USA, wherever clean water issues arise. I have been told that, should one venture somewhat off-shore of Lake Superior — let’s say a mile or two — it would be possible to dip one’s cup into the water, and freely drink from the lake. I have not tried it, and would not encourage the practice, but I believe it. I am not alone. 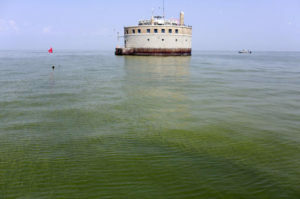 Naturally Superior has this to say on the subject: Lake Superior is the cleanest of the Great Lakes,and many people drink the water regularly (even in their homes). On a trip, the decision is yours. For your safety we bring a high quality water filter or boil our water. One variable is latitude. 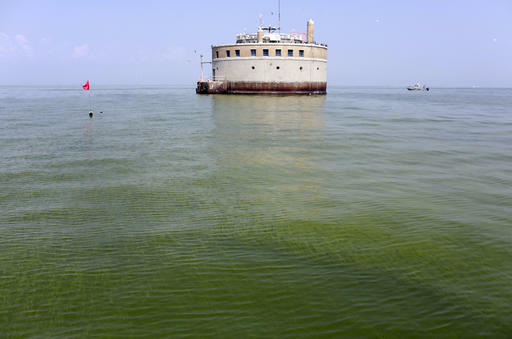 A more northern latitude means a shorter growing season and less carbon input into the lake’s system from plants like algae. Another variable is geology. Granitic-rock covered by pine forests doesn’t contribute much phosphorus to the lake. And there you have it. 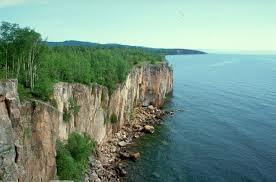 If you haven’t visited Lake Superior, the trip is worth it. It is a global treasure that ideally benefits from what many of us would consider less-than-ideal weather conditions.